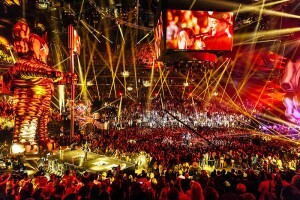 While the 2013 MTV Video Music Awards (VMA) attracted lots of press for its outrageous performances, the show made headlines among professionals for its creative staging, too. 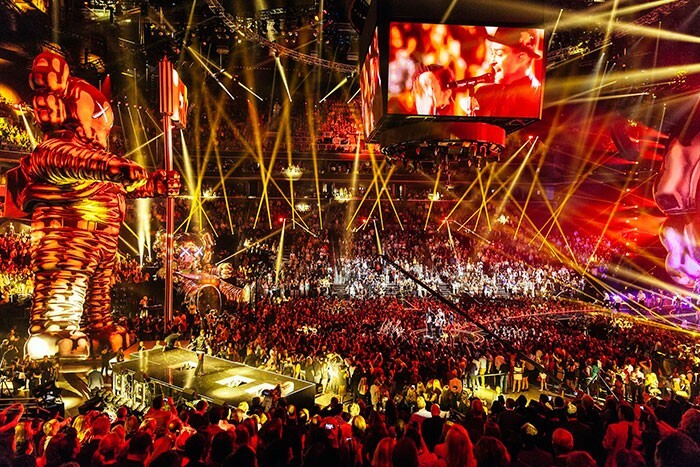 The show was controlled by grandMA2 full-size consoles at Barclays Center, Brooklyn where artist and designer KAWS reimagined the VMA’s iconic moonman statuette. A.C.T Lighting, Inc. is the exclusive distributor of MA Lighting in the US and Canada.